Adrián Zicari is teaching associate professor in the Accounting and Management Control Department at ESSEC Business School. Adrian has a BSc in Accounting from Argentina, an MBA from Universidad Adolfo Ibanez at Chile, and a doctorate from Universidad Nacional de Rosario, Argentina. Before academic life, he has worked for more than ten years in finance and control in the healthcare sector. Adrián's research interests are the measurement of CSR, its relationship with financial markets, and the development of CSR practices in emerging markets, particularly in Latin America. 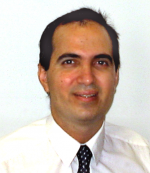 He is now working in three projects: The use of value-added reporting models in Latin America. (with Luis Perera, senior partner at PWC, Chile), CSR in multinational firms (with Cécile Renouard), and CSR practices in Brazil. Adrián's work as been published in journals such as Economies et Sociétés, Revista Diálogo Político. He has written two books on CSR: “Responsabilidad Social Empresaria, una visión financiera” (2007) and and “Fondos Eticos”(2008), both edited by the professional body of accountants in Buenos Aires.